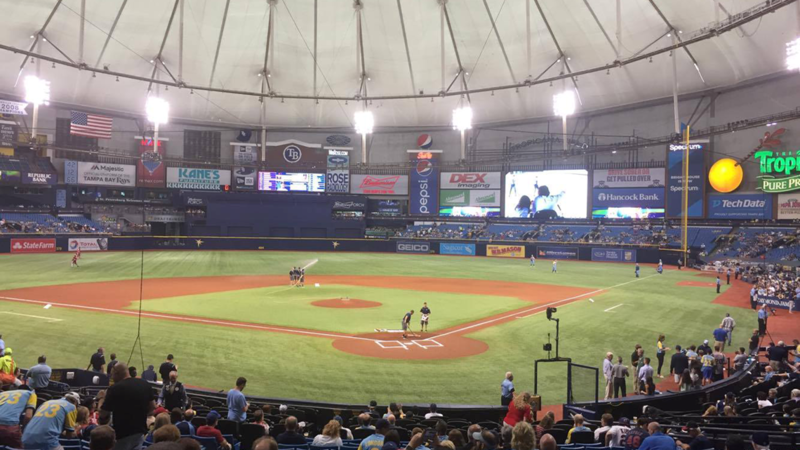 Tropicana Field pictured on Thursday, May 24, 2018. 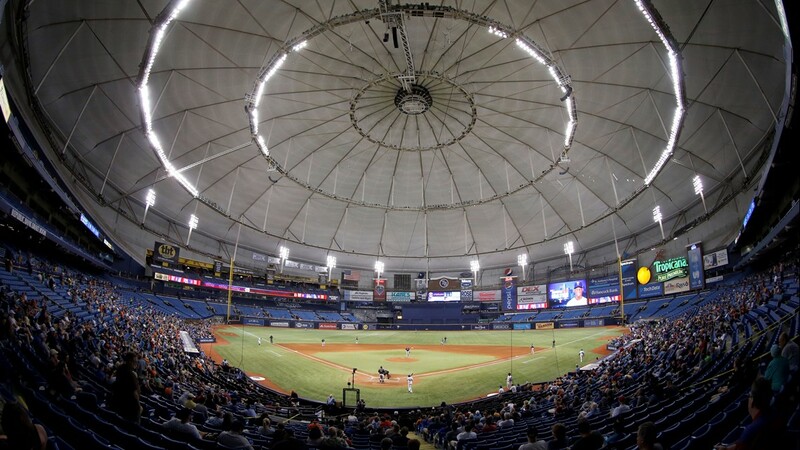 The Tampa Bay Rays beat the Boston Red Sox, 6-3. 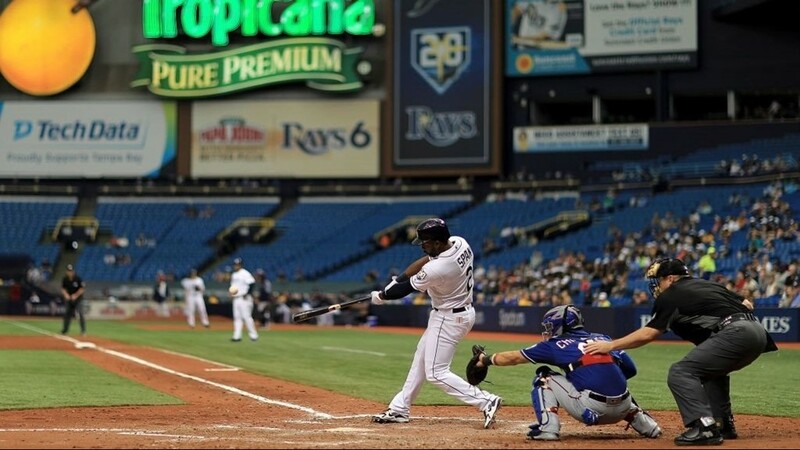 Denard Span #2 of the Tampa Bay Rays hits an RBI double in the eighth inning during a game against the Texas Rangers at Tropicana Field on April 18, 2018 in St Petersburg, Florida. 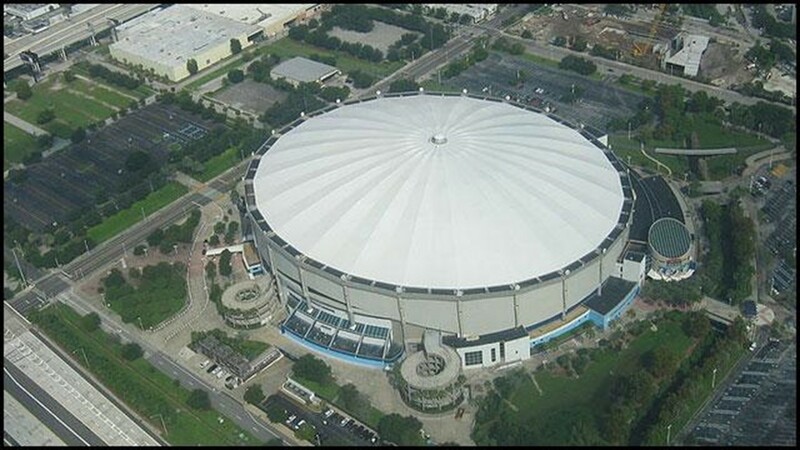 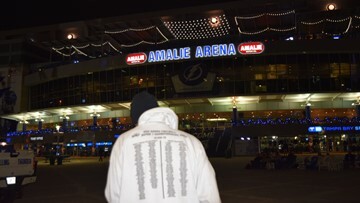 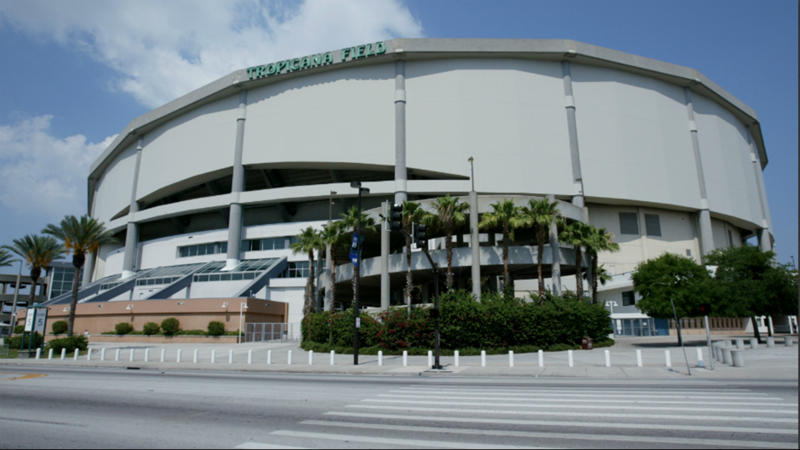 A general view of the exterior of Tropicana Field on May 26, 2004, in St. Petersburg, Florida. 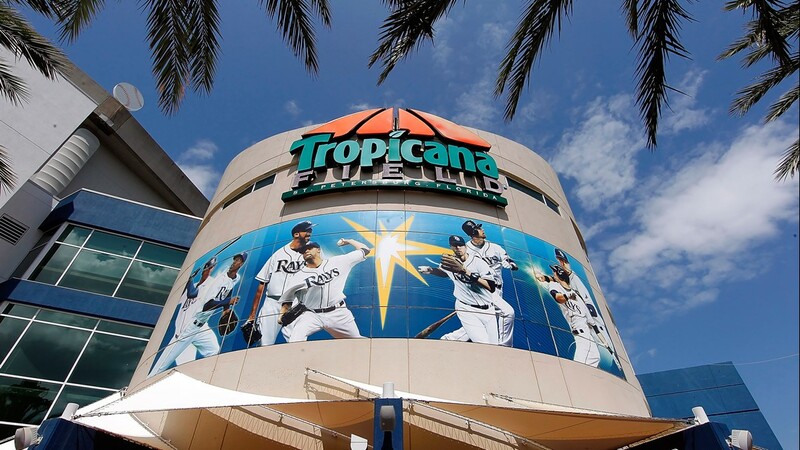 An exterior view of Gate 1 at Tropicana Field just prior to the Opening Day game between the Tampa Bay Rays and the New York Yankees on April 6, 2012. 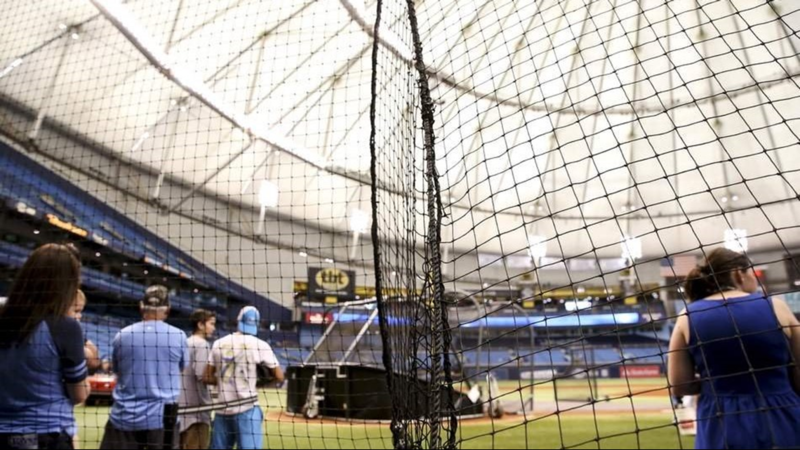 An extra piece of protective netting has been installed before the game between the Tampa Bay Rays and the Chicago White Sox in Tropicana Field in St. Petersburg, Florida, on Saturday, April 16, 2016. 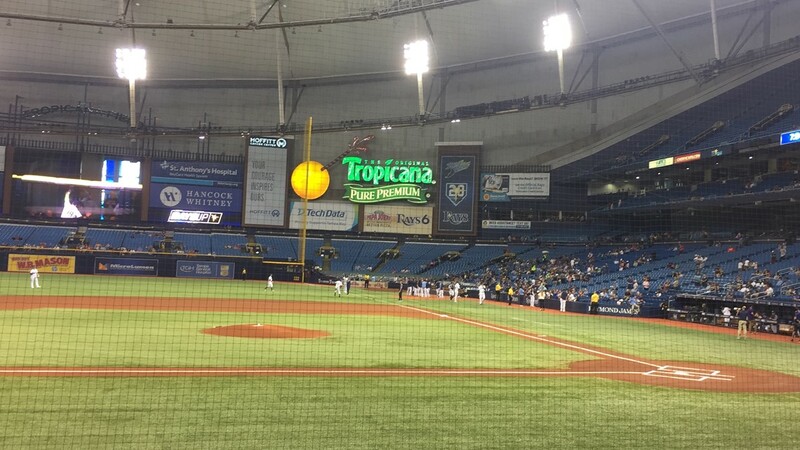 A general view of Tropicana Field where the Houston Astros host the Texas Rangers since the game was moved because of the impact of Hurricane Harvey in Houston. 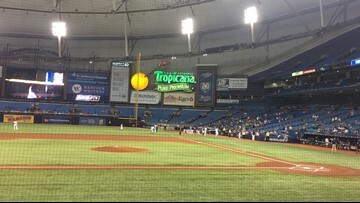 Crews work to prepare Tropicana Field ahead of the Tampa Bay Rays' game against the Cleveland Indians on Aug. 12, 2017. 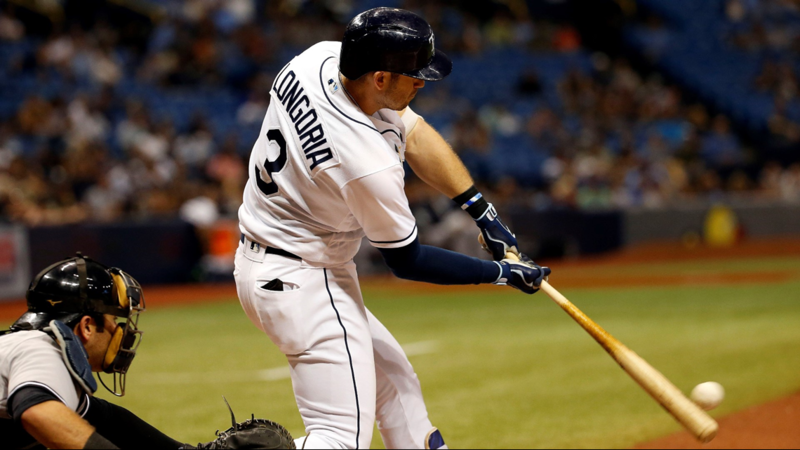 Tampa Bay Rays third baseman Evan Longoria (3) hits the go-ahead RBI single during the eighth inning at Tropicana Field on Friday, May 19, 2017. 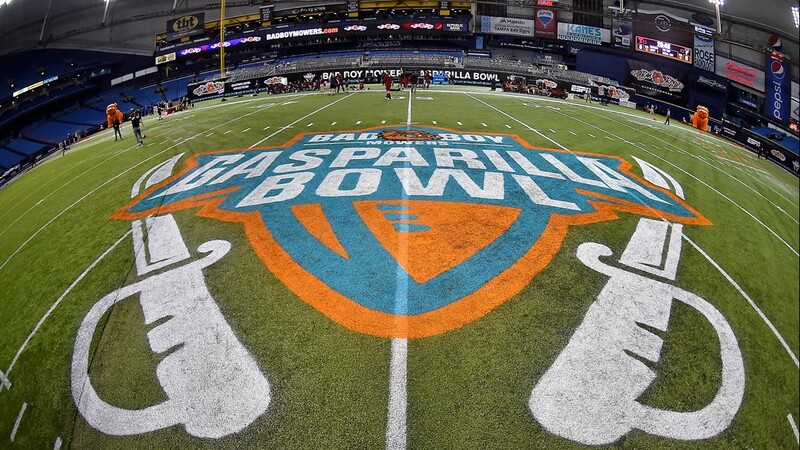 A general view at Tropicana Field prior to the Gasparilla Bowl between the FIU Panthers and the Temple Owls on Dec. 21, 2017. 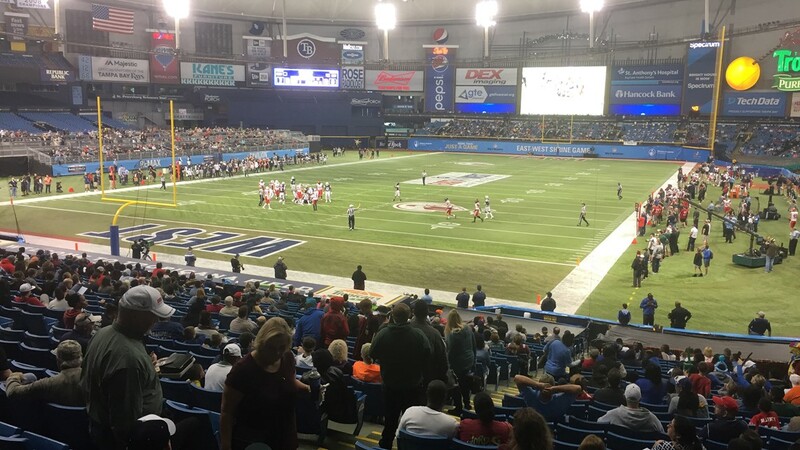 The 93rd East-West Shrine Game is played on Jan. 20, 2018, at Tropicana Field in St. Petersburg, Florida.